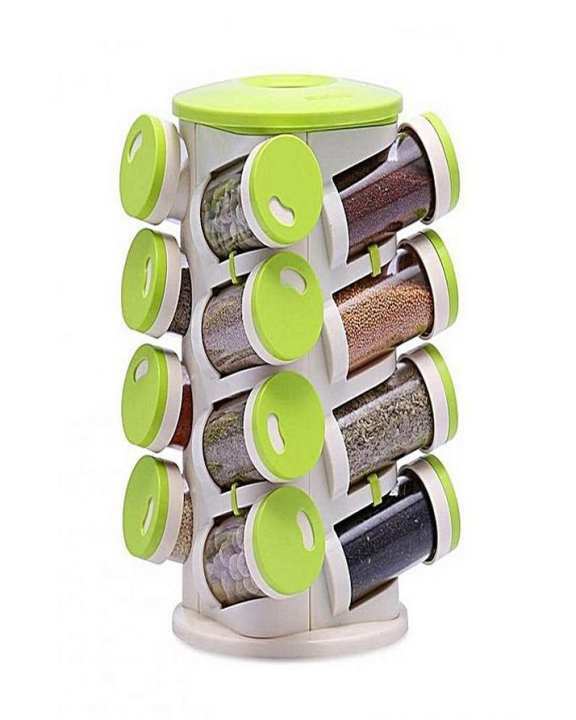 16 jars in revolving spice rack to store spices, seasoning, herbs, mouth freshener, etc. how many jars it have? ?